On May 12, 800 tech leaders, futurists, and professionals converged in the Bingemans Event Centre in Waterloo Region to attend Communitech’s 16th annual Tech Leadership Conference (TLC) and discover what will be in store for us in the years to come. For those who have never attended TLC before, the core of the conference has always been around the celebration of Waterloo Region, and the technology, people, and communities within it. After registration, attendees were immediately greeted with a showroom packed with some of the region’s most innovative companies like Clearpath Robotics, working on next-gen robotics, and the Canon Innovation Lab, experimenting with new experiential mediums like virtual reality. With the wide range of companies at TLC, there was a little bit of something for everybody. The celebration did not end there, though. It swept through the showroom and onto the main stage as Iain Klugman, the CEO of Communitech, thanked and awarded Mike Kirkup, the departing Director of UW Velocity, with the ‘Order of Communitech’ for his remarkable service and impact in Waterloo Region’s startup ecosystem. Klugman’s introduction in welcoming hundreds of attendees from across North America to TLC was followed by something a little meta: Michael Litt from Vidyard (disclosure: I work there!) telling a story about storytelling technology. From stones to print, radio, film, and then to the internet, the mediums in which people told stories have changed dramatically over the years. Litt believes the next revolution in storytelling technologies will be created and driven by theoretical physics. It’s a good thing, then, that the Perimeter Institute of Theoretical Physics located in Waterloo is leading cutting-edge research in this space. The story of this year’s Tech Leadership Conference, however, goes beyond celebration and reads a bit more like a science fiction novel complete with mentions of teleportation, artificial intelligence, cloud-connected neocortexes, and more. 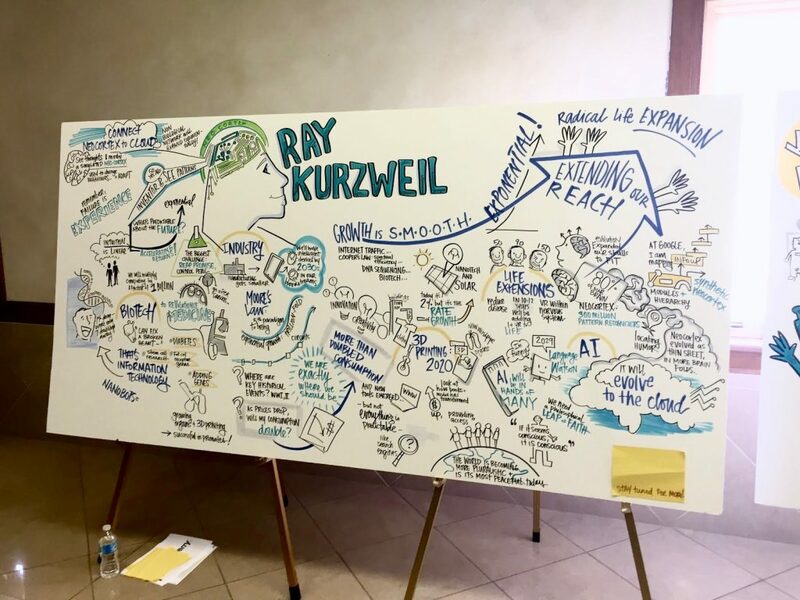 The first speaker was Ray Kurzweil, a world-renowned futurist, inventor, and director of engineering at Google. With a 30-year track record in accurately predicting world-changing technological advances, he brought forward his predictions in a talk titled Innovation in the Age of Accelerating Returns. Kurzweil credits his track record to the assumption that the pace of innovation follows an exponential growth curve, not a linear one. For instance, 3D printing has long been regarded as a hobbyist’s pastime and while mankind is still far from being able to materialize objects out of thin air, it is well on its way to transforming the world of manufacturing as we know it. Kurzweil predicts this will happen by 2020. Kurzweil also predicted that there will be tremendous advancements in biotechnology and healthcare. 3D printed organs, nanorobots in our bloodstream, and the ability to regrow stem cells will mean radically extended life expectancies. Our brains will be connected to the cloud, expanding our mental capacity beyond the confines of our skull and enabling us to access vast amounts of information at a moment’s notice. Kurzweil was not alone in telling us this story of the future. He was also joined by other experts in fields like artificial intelligence, robot ethics, and beyond. Chris Eliasmith had a different take on the cloud-connected brains of the future. As the director of the Centre for Theoretical Neuroscience at the University of Waterloo, Eliasmith showcased the work he is doing to build brains using neural algorithms and deep neural networks. Building these next-gen “neuromorphic” chips will enable computers and AI to mimic aspects of how our brains think. Nikolas Badminton explored the real-world applications of artificial intelligence and in a number of different industries. He predicted that the earliest advances in AI will be seen in healthcare and in commerce, with implementations of this already shown through use of chat bots by Facebook, Kik, and Shopify. These technological advances also call for a modification in our way of thinking to adapt to the changing times. Mark Roberge, the chief revenue officer at Hubspot, took to stage to make some predictions in the world of sales and marketing. He believes that “journalists hold the keys to the future of sales, marketing, and demand generation.” With the decline of jobs in media, startups and journalists will need to adjust to this new world and work with one another to tell stories and attract new customers. Adam Green, creative agency lead for Google Canada, focused his talk on the importance of keeping the human elements in marketing. While new technologies will offer more tools at your disposal, being able to make that personal and emotional connection is what will and always has differentiated great products from good products. While many of these predictions may sound incredible, some are also a bit scary. These advances have the potential to shake up the ways people behave and think, especially when it comes to interacting robots and artificial intelligence. Kate Darling, a researcher at the Massachusetts Institute of Technology Media Lab, spoke about human-robot interactions and robot ethics. As robots become increasingly sophisticated, this will raise new ethical boundaries and challenge the line that separates man from machine. While many fear a dystopian, Skynet-like future with sentient killer robots, Darling says that we need not fear as long as we use the technology responsibly. Robin Chase, former CEO of Zipcar, ended the day off with something a little lighter, the collaborative/sharing economy. While the concept is nothing new, recent advances in technology have enabled the widespread adoption of services like Uber and Airbnb. In an interview with BetaKit, Chase stressed that the sharing economy is not simply the “peer-to-peer sharing of stuff” like most people seem to think. This is only a subset of something much larger. Instead, “the sharing economy is a redefinition of what it means to run a company and who is in your ecosystem contributing to the products and services of that company,” according to Chase. 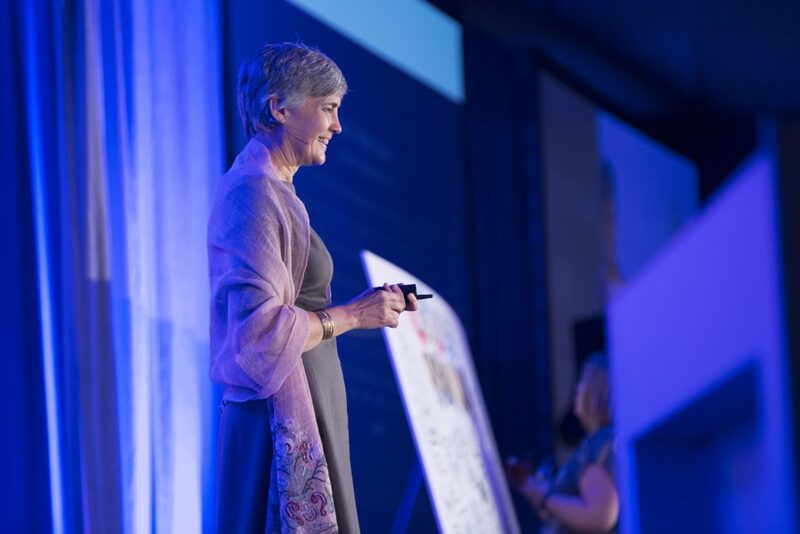 Robin Chase delivers her keynote on the sharing economy. The embracing of the collaborative economy signifies a shift in our way of thinking. Looking back five years, would you have ever thought you’d be able to take out your phone to request a ride, get into a stranger’s car, and arrive at your destination? In the case of transportation, these shared cars mean less production resulting in less cars on the road and less traffic – all while leading to more efficient trips and a significant impact on climate change. Couple this with driverless cars and this will mean the end of hours spent on the morning commute to Toronto. At least, that is until Waterloop transforms the way we commute with its entry into the Hyperloop competition. With the imminent advancements in technology coming our way, the future is looking promising. As long as we heed the warnings of an out-of-control artificial intelligence defence network depicted by a certain popular film franchise, I think we’ll be just fine. Karel is BetaKit's correspondent in Waterloo Region. After a stint in Silicon Valley, Karel wasn’t convinced by its appeal and returned to the Toronto-Waterloo Corridor. 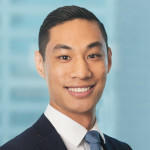 He is currently a designer at Vidyard and the founder of Spaces, the place to go to discover where Canadian tech and innovation comes to life. If you have a space you’d like to show off, he’d love to talk. Toronto-based McRock Capital has announced the close of McRock iNFund LP, focused on the Industrial Internet of Things (IIot) sector, at over $65 million….